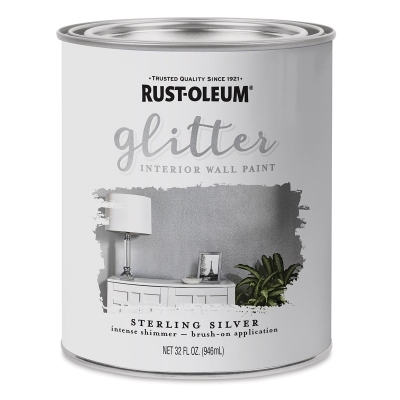 Brush on Rust-Oleum Glitter Interior Wall Paint for an intense shimmer effect. This brushable glitter paint creates a decorative sparkle finish on most interior surfaces, including drywall, wood, metal, plastic, and hardboard. Apply it with a roller, brush, or paint sprayer.